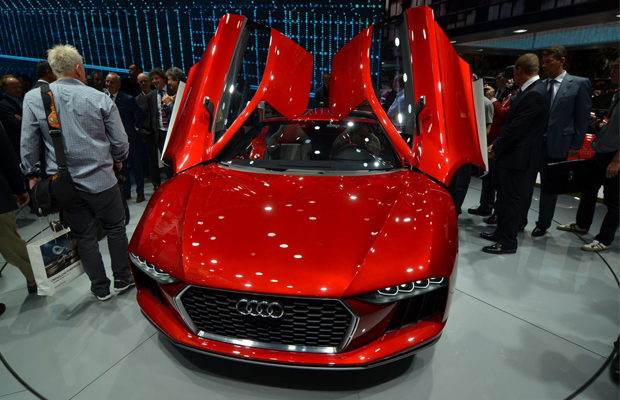 Best believe the Frankfurt Motor Show is in full effect and of all the speedsters to hit the showroom floor—it was the Audi Nanuk Quattro Concept that captured our interest most. Assembled in collaboration with designers from Italdesign Giugiario, the prototype is a “crossover-supercar” that the luxury automaker believes is “equally on the race track, the highway, or a winding country road as it is off-road in the and or in the snow.” How insightful. The Nanuk Quattro looks to be backed by an all-new V10 TDI engine stacked in the middle of the car, which pumps out 544 hp with a 1,000 Nm of torque. It’s also matted with a twin-turbocharger controlled through Audi’s valvelift system. Word is the concept should be scheduled for production sometime in the near future. Only time will tell.